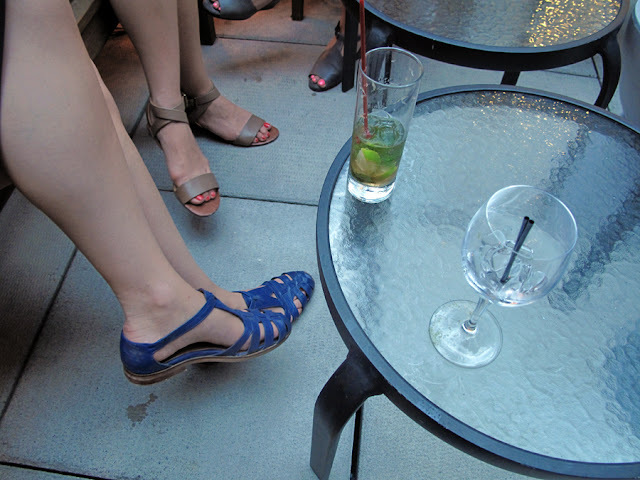 It is sandal season at the rooftop bar. Are any of these legs yours? I don't recognize them!